The IEF used various means to take the message of Islam to non-Muslims, like lectures, seminars and the distribution of books. Over the past 20 years, more than 20,000 expatriates embraced Islam since the establishment of the IEF branch in 1993. The Islamic dawah centers in the Kingdom have encouraged foreigners to revert to Islam. Dawah centers are not imposing anybody to embrace Islam but provide an opportunity for non-Muslims to realize the values and beauty of Islam. Many people are attracted to Islam through experiencing the life and activities of Muslim co-workers. 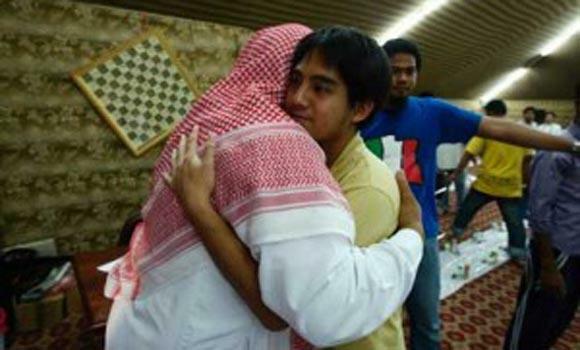 Many Saudi and non-Saudi Muslims believe that helping a person embrace Islam is one of the biggest successes they can achieve. People are dynamically involved in the dissemination of Islam among non-Muslim women and men. Filipino men and women account for the majority of expatriates embracing Islam. A number of Americans and Europeans have also embraced Islam in the Kingdom, according to the IEF report. Islam is the world’s fastest-growing religion and people are involved in finding out about Islam. Most of them return to their lives, but some will certainly change. Saleh Al-Dulaiqan, IEF branch director thanked to the efforts of the Cooperation Office for Call and Guidance.